BREMERTON, Wash. — A football coach in Washington state who was placed on leave this fall until he agrees to stop praying at the 50-yard line at the conclusion of each game has filed a federal employment complaint, alleging religious discrimination. As previously reported, Joe Kennedy, the assistant head coach for the varsity team at Bremerton High School and the head coach for the junior varsity team, was placed on paid administrative leave in October when he prayed at the conclusion of the homecoming game despite an order to cease his practice. Kennedy said that he began offering brief prayers on the field in 2008, then praying on his own. He was subsequently approached by several team members who asked what he was doing. He said that he never asked students to pray with him, but some desired to, including those from the opposing team. “They just all showed up one day and the next thing I know, the other team was showing up with us,” Kennedy said. 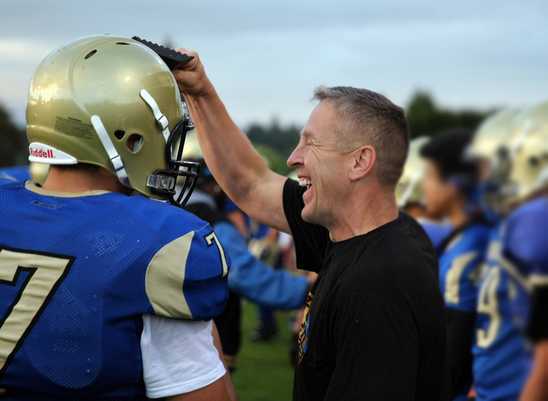 In September, the Bremerton School District launched an investigation into the coach’s practices, and soon sent a letter outlining that some aspects of his religious expression must discontinue. It noted that Kennedy not only prayed at the conclusion of each game, but also prayed in the locker room with students and staff. But although Kennedy agreed to discontinue the locker room prayer, his attorneys with the Texas-based Liberty Institute stated that he had done nothing wrong in seeking to pray by himself at the conclusion of each game. They opined there is neither any constitutional violation in permitting students to join. As Kennedy offered a prayer at October’s homecoming game surrounded by his team and scores of other supporters, he was consequently placed on paid leave until he agrees not to pray at the 50-yard-line. On Tuesday, the former U.S. Marine turned football coach filed a complaint with the Equal Employment Opportunity Commission, alleging workplace retaliation against his Christian expression in violation of Title VII of the Civil Rights Act of 1964. “[The district] violated my rights to free exercise of religion and free speech by prohibiting my private religious expression and taking adverse employment action against me on the basis of my religion, notwithstanding my request for a reasonable accommodation that would allow me to practice my sincerely held religious beliefs,” the complaint reads.